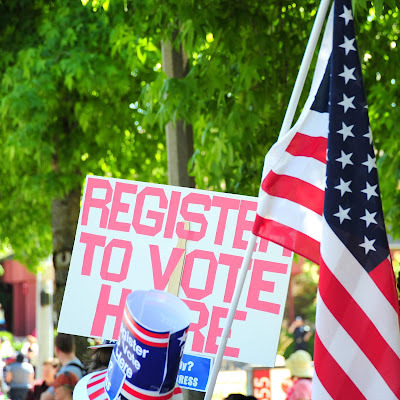 Rio Salado College | RioNews: 2018 Voter Registration Deadline is Today! 2018 Voter Registration Deadline is Today! Today is the last day to register to vote in the 2018 Primary Election, Arizona! You can register online via Arizona Department of Transportation's Service Arizona portal – if you have an Arizona Driver License and/or an Arizona non-operating I.D. card issued by the Motor Vehicle Division (MVD). It's quick and easy!